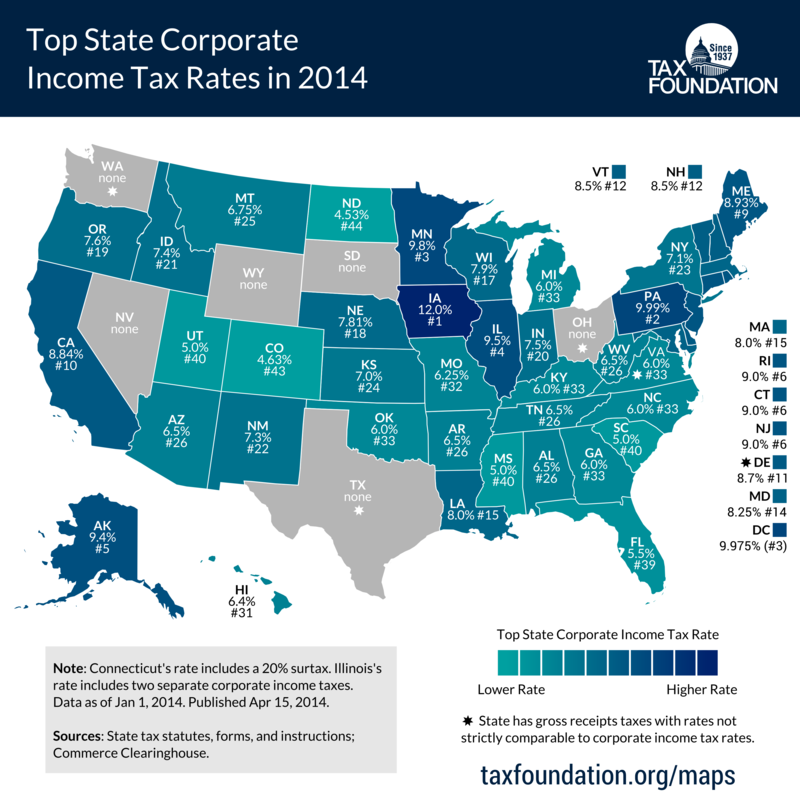 This week’s map shows top corporate marginal tax rates in each state. Corporate income taxes vary widely, with Iowa taxing corporate income at a top rate of 12 percent (though the state allows deductibility of federal taxes paid), followed by Pennsylvania (9.99 percent), Minnesota (9.8 percent), Illinois (9.5 percent), and Alaska (9.4 percent). On the other end of the spectrum, North Dakota taxes corporate income at a top rate of 4.53 percent, followed by Colorado (4.63 percent), Georgia, Mississippi, and Utah (5 percent). Some states do not levy a corporate income tax at all, and instead levy gross receipts taxes, which are more harmful. Ohio levies the Commercial Activities Tax (CAT), Texas levies the Margin Tax, and Washington levies the Business and Occupation (B&O) tax. Virginia and Delaware levy both gross receipts taxes and corporate income taxes. Nevada, South Dakota, and Wyoming do not levy a corporate income tax or a gross receipts tax. 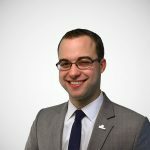 Economic studies find that corporate income taxes are among the most harmful to economic growth, while sales and property taxes are found to be less damaging to growth. For more information on state tax rates, check out the 2014 edition of Facts and Figures: How does your state compare? Follow @ScottDrenkard and @RichardBorean on Twitter.